WordPress or not, pretty much every website on the internet used images or gifs. Incorporating images in your websites helps pass some messages across to your readers and visitors better than texts would. Interestingly, WordPress, as the best and most used content management system (CMS), comes with some photo gallery features built-in as a part of its core functionalities. However, as with many core functionalities of WordPress, the default image gallery that ships with the CMS lack some basic and advanced features users might need. Luckily, there are plugins that allow users do much more than a standard WordPress gallery. Asides adding basic images, gallery plugins allows users add sliders, videos, hover effects, animations, custom presentation and more. These gallery plugins are available in hundreds and thousands, and choosing one or your website could be confusing and overwhelming. The list below contains seven of the best WordPress photo gallery plugins that sport just the right features you need, easy to use and setup, doesn’t slow down your website’s speed, and puts you in total control of your site’s visual contents in terms of aesthetics, how they are/will be displayed, and also what they’d contain. If you really want to make the most of your photographs, INSTALLING a purpose-built WordPress gallery plugin is highly recommended. Available in free and paid versions, Envira Gallery is a popular and easy-to-use WordPress gallery plugin. 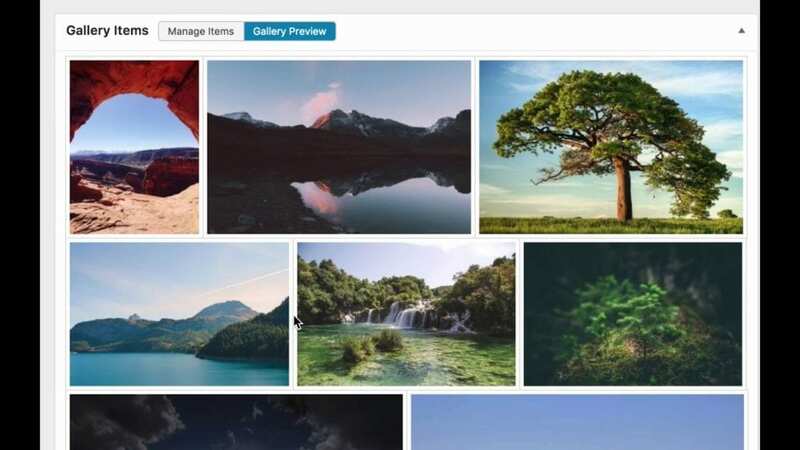 Some highlight features of this plugin is its drag and drop gallery builder and how easy and quick it is to create custom, mobile-friendly image galleries. To add, Envira isn’t the type of plugin to interfere with your website’s performance or speed. The paid version brings more premium features like image watermarking, access to more gallery templates, password-protect your images, image download restriction etc. NextGEN Gallery is also a renowned plugin for organizing your image gallery on your WordPress website. Some basic features of the free version of NextGEN Gallery include image batch upload, thumbnail editing, image grouping into albums, and a number of other easy-to-use features that can up image publishing on your WordPress website. However, the paid version comes with additional perks like social sharing, premium templates and layouts, image commenting, and e-commerce integration. Although not a totally popular gallery plugin, WP Photo Album Plus is a powerful album plugin that comes with more customization options than the average regular free gallery plugins. WP Photo Album Plus allows your website visitors comment on your images and likewise rate them. However, it isn’t exactly as easy to setup as other galley plugins. When mentioning the best WordPress photo gallery plugins, Foo Gallery cannot be left out. It comes with a handful of templates, creation of responsive custom galleries, and full retina support for high-resolution monitors and displays. It likewise ships with the Envira-esque style of drag-and-drop gallery organization. With PhotoScape Gallery, you can upload multiple photos at once, organize your gallery via drag-and-drop, modify thumbnail dimensions, create multiple galleries, add captions and descriptions and other advanced gallery options like pagination and keyboard control. GMedia Gallery sports a comprehensive interface that allows website owners and administrators work with unlimited imaces, albums, audio files, slideshows etc. This plugin also comes with a special import feature allows the smooth transfer of your galleries between websites. Need to extend the default functionalities and features of your WordPress media library, you should install the GMedia Gallery plugin. Learn More. Feature and functionality-wise, this plugin is quite similar to Envira Gallery. Photo Gallery by WD lets users display their galleries in 10 different views (mansory, filmstrip, slideshow, thumbnails, mosaic, etc.) The plugin also comes with 4 widgets that works perfectly with almost any WordPress theme and templates. Which of the plugins listed above is your Best WordPress Photo Gallery Plugin? Share your thoughts as a comment.